5.0 颗星，最多 5 颗星Gorgeous illustrations and very sweet. We are Brazilian and are trying to bring Portuguese to our 2 year old daughter's vast (over 200 books) English library. This book is gorgeous and appropriate for many ages (certainly from infant to pre-preschoolers who enjoy imagery), though there is very little text. The pages are rich with beautiful drawings and the concept is to relate that size is relative, for example, she is very small close to something very big and very big close to something very small. It is hard finding bilingual books, and I think this is one of her favorites. 1. Eu and você forms of ser are reinforced. 2. Synonyms of small and big are given showing how you can continue to increase your vocab knowledge even after you know the basics. 3. An example of a basic conversation in Portuguese with English support. It’s also great for children because it teaches about perceptions, judgments, differences and self confidence. Nice to read to the kids! 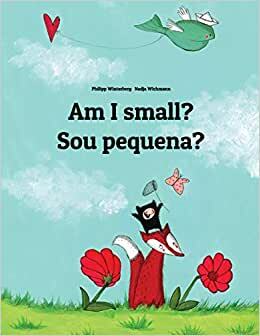 This book is excellent for children or adults learning portuguese as a second language. 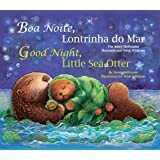 It is also a delightful book for young children whose primary language is Portuguese. It has very charming pictures, and it uses repetition to learn words, but doesn't get boring. 5.0 颗星，最多 5 颗星2 yr old loves it! My bilingual two year old loves this book. Asks for it every night.